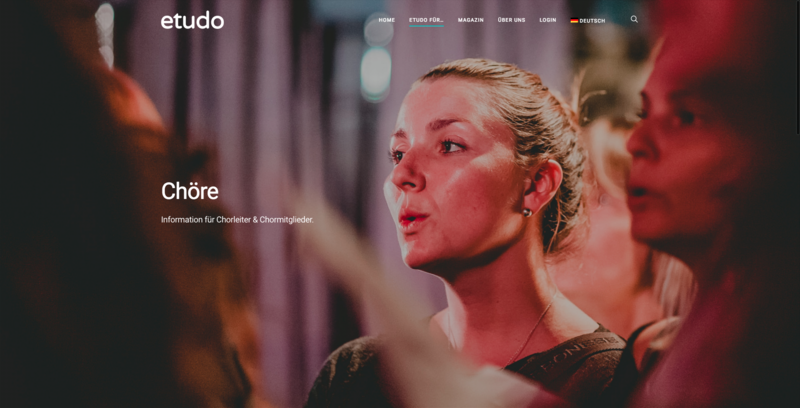 Concept, UX/UI, Branding, Design, Implementation with WordPress. 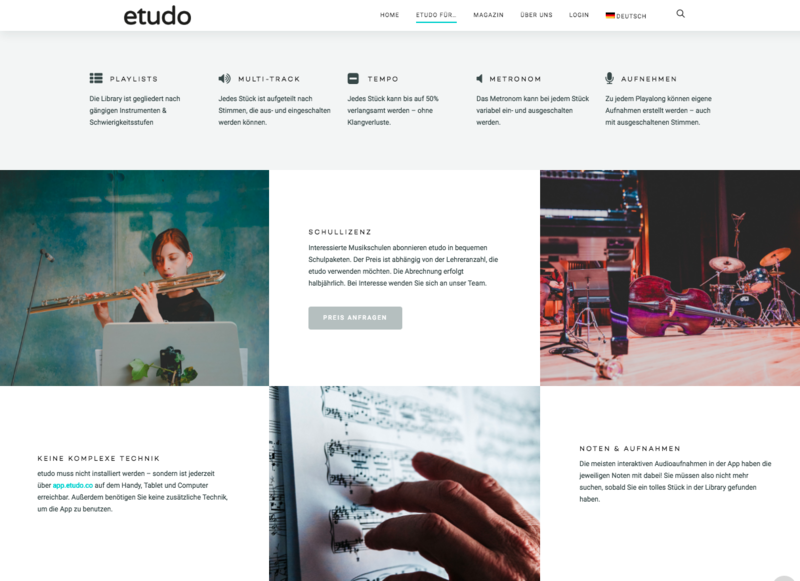 A website for the web app etudo, which is a music learning environment for music teachers and students. The homepage should inform teachers, students and parents about the features, and all stakeholders about the team and new features. One of the sub pages. 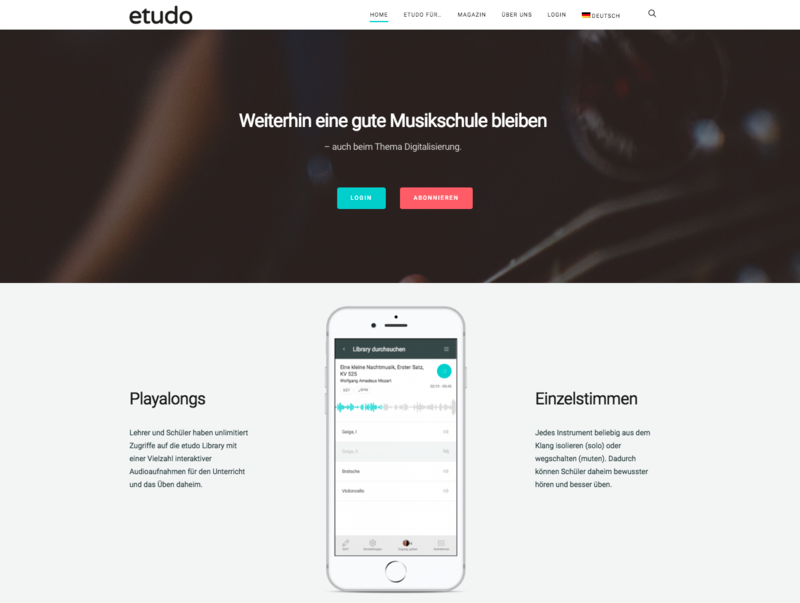 Simple feature overview for teachers. Excuse the terrible GIPHY quality!